Over the last couple of years, most bike manufacturers have updated their litre-class flagship motorcycles with modern day electronic wizardry, aesthetically improved designs and more powerful engines. While BMW’s flagship motorcycle, the S1000RR, offers blistering performance and class-leading dynamics, the bike does miss some of the electronic goodies that its rivals boast about. The last time the S1000RR received an update was in 2015, and BMW has been working hard at updating the bike to keep up with the competition. The 2018 S1000RR was caught testing in Germany recently. From the looks of it, the S1000RR seems to have received a host of significant changes in its chassis, swingarm and bodywork. The test bike also featured a revised engine casing which leads us to believe that the 2018 BMW supersport might get a new and more powerful engine as well. While not only being Euro 4-compliant, expect the new engine to be a lot more powerful than its predecessor as well. The current 999cc, four-cylinder engine mated to a 6-speed gearbox develops 194PS at 13000rpm and a peak torque of 112Nm at 9750rpm. 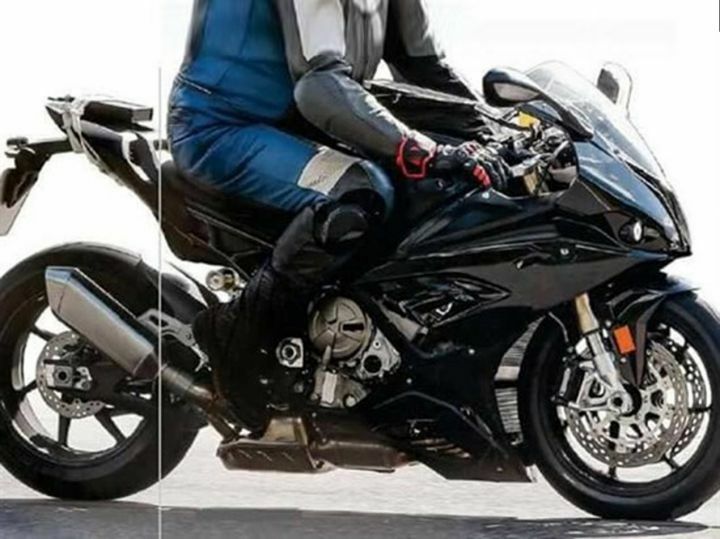 As seen from these images, it is also evident that the new bike gets a different exhaust muffler, bigger disc rotors at the front and a revised fairing design. In terms of electronics, expect BMW to equip the 2018 S1000RR with modern day electronics such as a TFT screen, Bluetooth connectivity, a 6-axes IMU (Inertia Measurement Unit), launch control, adjustable traction control, wheelie control, cornering ABS, etc. The bike looks production ready and BMW is expected to reveal it at the 2017 EICMA motorcycle show. Rivals like Ducati is also expected to showcase the new Panigale V4 at the show. As the name suggests, the Panigale V4 features a 4-cylinder engine in a V-configuration, a first for this Panigale lineup. Once on sale in India, the S1000RR will face competition from the Suzuki GSX-R1000, Yamaha R1, Kawasaki Ninja ZX-10R, Aprilia RSV4, MV Agusta F4 and Ducati 1299 Panigale. Share your experiences with S 1000 RR? BMW S1000RR: Marauder from Munich!